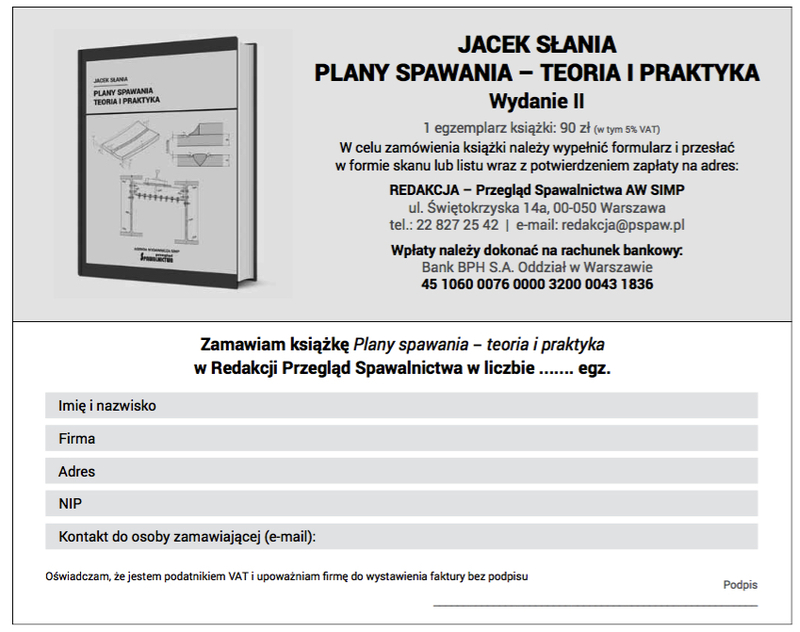 The Welding Technology Review is a monthly specialist Open Access journal published by the Society of Polish Mechanical Engineers and Technicians since 1928. It publishes regular scientific papers (articles) of related scientific research and technology development of the broadly understood joining engineering. Our aim is to encourage scientists to publish their experimental and theoretical results in peer-reviewed papers on all aspects of materials joining, including welding, brazing, soldering, surfacing, cutting and testing of the joints of advanced structure or functional materials. The scope covers a wide range of Mechanical Engineering in topics related to joining processes.